Looking for living room sectional sofas designs? Read on to know all about Sectional Sofas designs, Shapes, Styles and Colors with pictures which help you to get right sectional sofa for your living room to enhance its decoration and utility. 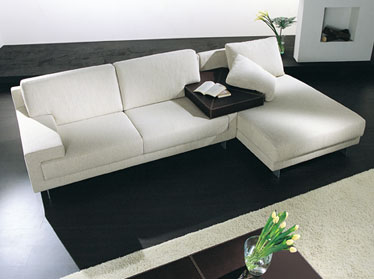 Sectional furniture is become very popular nowadays as it's truly define a living space in both quality and style. Here you can read about the sectional sofas styles and designs which you can have in your living room to enhance its beauty and style. Sometimes people think that sectional sofa will not go with their traditional interior but you can choose the classic and timeless designs offered by many well known brands to match up with your interior style. Sectional sofas comes in every style whether you are looking for a large sectional that spans the width of two walls, or a compact l-shaped sectional with chaise, or simply need sleeper sectional convenience for overnight guests or studio apartment living, sectional furniture is the perfect expression of style and versatility for your living space. It is not necessary that you always put sectional sofas in the corner of your room with chaise but they also can form a strong centerpiece to a stylish lounge. This blue color sectional sofa is perfect to add some colors in your decoration. It goes well with any kind of interior decoration looks beautiful with white, purple and grey color wall paints. This beautiful small sectional sofa is ideal for small living room space. 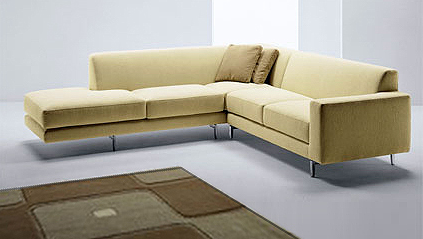 You can place this sectional sofa in the center of the living room or in the corner of your room. Place a small center table in front of it to get a comfortable sitting. This large sectional sofa is suitable for large space living room. These sleeper sectional sofas are ideal for studio rooms or guest rooms as their size and shape provide a full fold out luxury bed when required. Want to get some relax while watching TV and reading books then this sectional sofa is ideal for you as it has one additional seat which allow to take some rest when you feel little tired or just want some rest while watching a movie or reading your favourite book.